Fantasy Fest is no secret to Key West, but out-of-towners may be less familiar with its kick-off event, the Bahama Village Goombay Festival. Goombay is a family-friendly street party that celebrates the rich music, food, dance and cultures of the area’s Caribbean heritage. For some back story, Bahama Village in Key West was named after its early residents of the Bahamas, who settled in the area seeking economic security. While it was once a marginalized section of town, today it has transformed into an area for tourists, with local restaurants and funky shops. It remains a vibrant, close-knit community on the island. The Goombay Fest runs Oct. 20-21 from noon til midnight both days. Its family-friendly activities include face-painting and carnival rides for kids with music all day long. The street party is set on Petronia Street, with its mainstage located on the corner of Fort Street and Petronia. Live music is the main draw of the event, which features sounds of island-influence, from Calypso to reggae, hip-hop and gospel. The culinary selection is also a great part of this event, which has Caribbean island flavors to tickle your tastebuds. Vendors set up along the street, and you can’t leave without trying some jerk chicken satay. 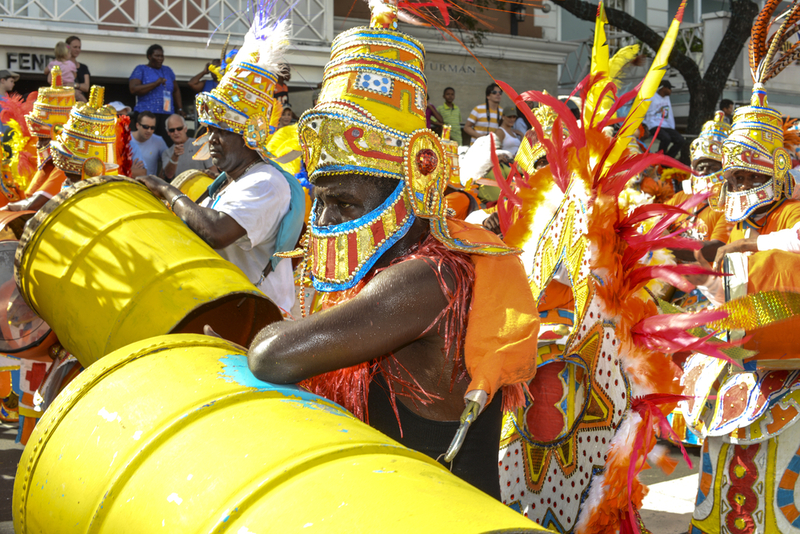 In addition to this multicultural, flavorful event, Junkanoo performers are also a staple of the party, with costumed marchers and dancers performing a Junkanoo Rush, reminiscent of New Orleans full-energy second-line parades that will get you on your feet. The event runs noon to midnight Friday and Saturday, with free admission. Arts and crafts vendors are also a great part of this event; make sure to bring some cash so you can get some unique, handmade souvenirs.